There certainly is no shortage of over-hyped and over priced diet pills and fat burners these days - Miracle Burn, Sensa Weight Loss Aid, Fenphedra, just to name a few. 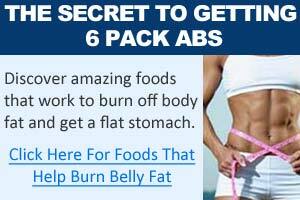 Many of these diet pills over-hype the effectiveness of the active ingredients contained in their fat burner that still remain relatively unproven by science. While some of the ingredients show some potential as an effective fat loss ingredient, their actual effectiveness is still a far cry from what these diet pills claim. Nuphedrine, like the above mentioned diet pills, is another much over hyped and over priced fat burners that claims to help you burn more calories, increase thermogenesis, suppress appetite, reduce body weight, and even improve your athletic performance and increase the ratio of your lean muscle - but of course, they top this off with "in conjunction with diet and exercise". Gee, how could you possibly achieve a better lean muscle ratio or improve your athletic performance without exercising? Unless you believe in magic. Again, like these many over hyped diet pills, Nuphedrine's ingredients includes "the most exciting" weight loss ingredients. I see this "exciting" angle of promotion so often now in diet pills. "Exciting" does not equal effectiveness. Do you want to buy a diet pill because it's exciting, or because it's effective? Nuphedrine Review - Is Nuphedrine Effective? Sarcasm aside, let's find out if the exciting Nuphedrine ingredients are really as exciting as they are cracked up to be. Er... I mean, let's find out if the exciting Nuphedrine ingredients are indeed effective at promoting weight loss. Nuphedrine contains mainly three key ingredients, and they are Hoodia Gordonii, Advantra-z (patented form of citrus aurantium), and Slimaluma (an extract of Caralluma Fimbriata). Hoodia Gordonii - Hoodia is a traditional African plant resembling the cactus family; however, it is unrelated to the cactus family. Hoodia plants can grow up to one meter high with large flowers. The succulent stems of Hoodia Gordonii has long been consumed by the African tribesmen to reduce hunger during long hunting trips. The plant is also used to treat other ailments such as indigestion, and small infections. A compound, known as P57, was first isolated as an effective appetite suppressant in 1977. Please note, do not confuse the compound P57 with various Hoodia products on the market that mimic the name of compound P57 - diet pills such as Hoodia X57 name their product in a similar fashion, so do not be fooled. There are plenty of fake and ineffective hoodia diet pills on the market that often contain little to no Hoodia at all in their product. This practice of scamming consumers is quite common. We have made a brief guide on how to select Hoodia products, and avoid getting scammed. Hoodia P57 (the weight loss compound) was patented in 1996. There are studies that have demonstrated the appetite suppressing effects of Hoodia Gordonii. One South African study involving rats found that extracts of Hoodia resulted in decrease of food consumption, and a corresponding body mass decrease. Advantra-Z is a patented form of bitter orange (citrus aurantium). Synephrine is derived from the fruit of bitter orange, which has been used in Chinese medicine to treat chest congestion. 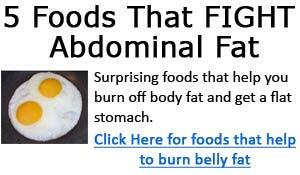 It is a popular ingredient in many weight loss products and diet pills. Despite how "exciting" Nuphedrine claims this to be, currently, there are conflicting evidence and views on the effectiveness of bitter orange - so what you read about its proven ability to help weight loss, take it with a grain of salt. We will provide the findings of 2 studies which reported conflicting views. Citrus aurantium and synephrine alkaloids in the treatment of overweight and obesity: an update. Haaz S, Fontaine KR, Cutter G, Limdi N, Perumean-Chaney S, Allison DB. Division of Rheumatology, Johns Hopkins University School of Medicine, Baltimore, MD, USA. Obesity is a major health problem facing the developed and developing world. Efforts by individuals, health professionals, educators, and policy makers to combat the escalating trend of growing obesity prevalence have been multifaceted and mixed in outcome. Various dietary supplements have been marketed to reduce obesity. These products have been suggested to accomplish this by decreasing energy intake and energy absorption, and/or increasing metabolic rate. Citrus aurantium, which contains several compounds including synephrine alkaloids, has been suggested as a safe alternative to ephedra. This review examines the evidence for safety and efficacy of C. aurantium and synephrine alkaloids as examined in animal studies, clinical weight loss trials, acute physiologic studies and case reports. As you can see from these two studies, first study finds no conclusive evidence to support the claim that citrus aurantium is an effective weight loss aid, while the second study concludes that there are some promising evidence, but more clinical trials are needed to examine the safety and efficacy of bitter orange. For such an "exciting" ingredient in an over hyped diet pill such as Nuphedrine, it's suffice to say that the effectiveness is still relatively unproven. If you have used Nuphedrine diet pill, please share your feedback on our Nuphedrine user reviews page here. Slimaluma - Slimaluma is a standardized extract of Caralluma Fimbriata, which is an edible plant used in India for a variety of uses including being used as a portable food and thirst quencher, and also as an appetite suppressant. While Caralluma Fimbriata has shown some effectiveness in suppressing appetite and reducing food intake, it is still a relatively unproven ingredient that still requires further research. There are only very few studies performed on Caralluma Fimbriata, so more studies are required to confirm its effectiveness. However, in the studies that have been done on Caralluma Fimbriata, they have found it to be effective in suppressing appetite. Effect of Caralluma fimbriata extract on appetite, food intake and anthropometry in adult Indian men and women. Kuriyan R, Raj T, Srinivas SK, Vaz M, Rajendran R, Kurpad AV. Caralluma fimbriata is an edible cactus, used by tribal Indians to suppress hunger and enhance endurance. The effect of Caralluma extract was assessed in overweight individuals by a placebo controlled randomized trial. 50 men and women aged 25 to 60 years with a body mass index of greater than 25 kg/m2 were assigned either to a placebo group or a experimental group. For the experiment group, 1g of Caralluma Fimbriata was given each day for 60 days. Although Caralluma Fimbriata was shown to be effective in suppressing appetite and demonstrate some benefits in reducing body fat, BMI, and body weight, the noted difference between the control group and the experimental group was not significant. While it shows some promise in suppressing appetite and reducing food intake, more studies are still needed. One box of Nuphedrine diet pill costs $75.00. Not cheap by any means. For a diet pill that contains three ingredients with two of them (bitter orange, and slimaluma) that still requires further scientific studies to substantiate their effectiveness, $75 is a steep price to pay. But then, if "exciting" is what Nuphedrine is all about, perhaps it would be worth the price. Do you want to pay for an "exciting" diet pill? or an effective diet pill? 1. Phytochemistry. 2007 Oct;68(20):2545-53. Epub 2007 Jul 2. An appetite suppressant from Hoodia species. 2. Exp Biol Med (Maywood). 2004 Sep;229(8):698-704. 3. Obes Rev. 2006 Feb;7(1):79-88.